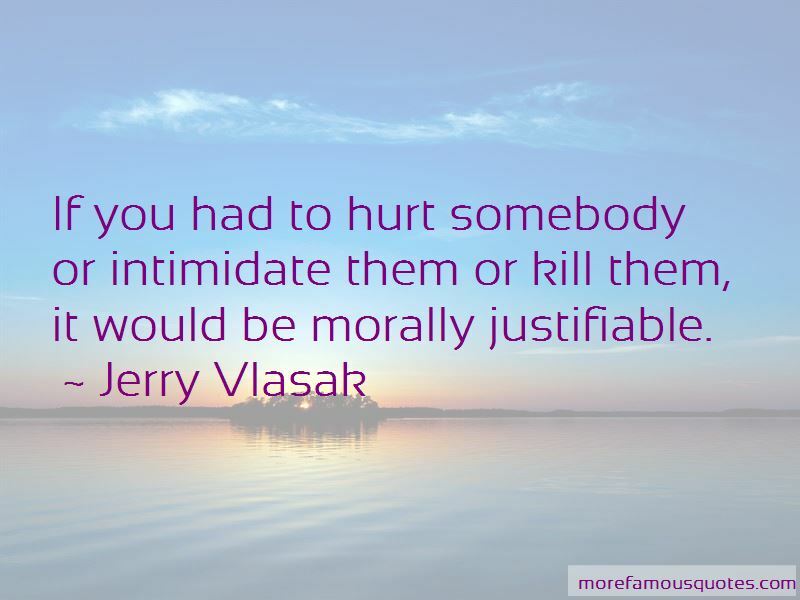 Enjoy the top 29 famous quotes, sayings and quotations by Jerry Vlasak. This is historically what happens whenever revolutionaries begin to take the oppression and suffering of their fellow beings seriously, whether human or nonhuman. It's regrettable that certain scientists are willing to put their families at risk by choosing to do wasteful animal experiments in this day and age. I am personally not advocating violence. 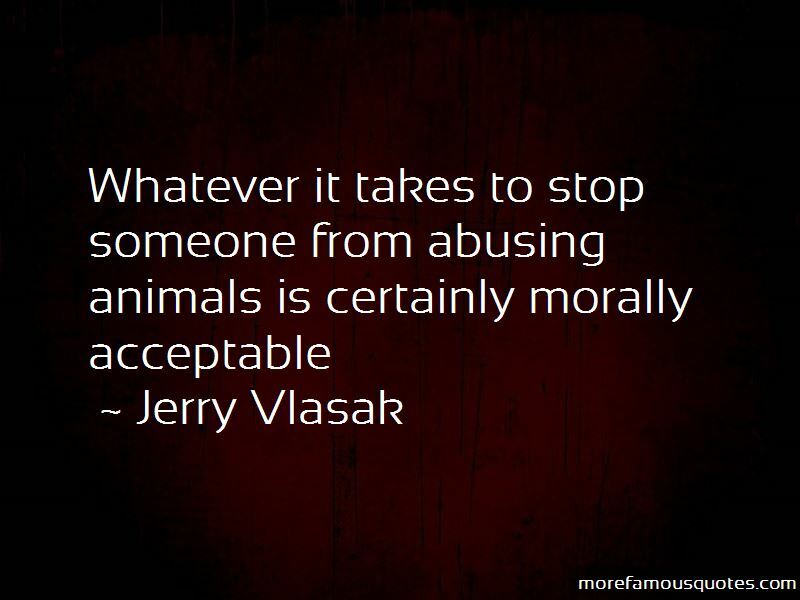 I am simply saying that it is a morally acceptable tactic and it may be useful in the struggle for animal liberation. I don't know. too many vivisectors before you would see a marked decrease in the amount of vivisection going on. And I think for 5 lives, 10 lives, 15 human lives, we could save a million, 2 million, 10 million non-human animals. I think for five lives, 10 lives, 15 human lives, we could save a million, two million, 10 million non-human lives. It won't ruin our movement if someone gets killed in an animal rights action. It's going to happen sooner or later. The Animal Liberation Front, the Earth Liberation Front - sooner or later there's going to be someone getting hurt. And we have to accept that fact. It's going to happen. It's not going to hurt our movement. Our movement will go on. And it's important that we not let the bully pulpit of the FBI and the other oppression agencies stop us from what we're doing. They are the violent ones. They are the terrorists ... we have to keep doing what we're doing. I think that violence and nonviolence are not moral principles, they're tactics. Want to see more pictures of Jerry Vlasak quotes? 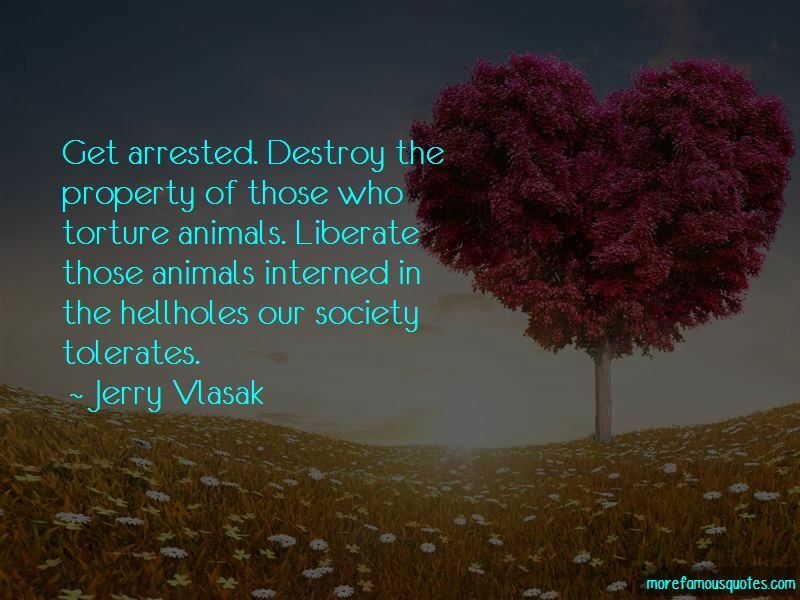 Click on image of Jerry Vlasak quotes to view full size.